It’s back. 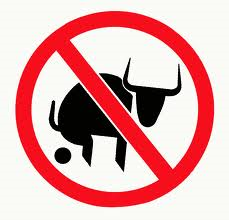 A running tally of words and phrases that are, quite simply, bullsh*t.
If you read last month’s post, Getting Over Overhead, you will recognize today’s theme of the icky double-standard between what’s okay in the private sector versus the non-profit sector. As in, “How much does your charity spend on admin?” This question is making my hair fall out in uneven clumps. Who cares how much we spend on admin? Do you really think we’re living like kings over here? The computer system in my office is held together with string and glue AND we’re trying to educate children! Meanwhile, Coke’s CEO makes $22.1 million a year selling those same kids bottled sugar. I bet HIS computer isn’t still running WordPerfect. 2. Cost to raise a dollar. As in, “What’s the cost to raise a dollar for this event?” Isn’t the real question something like: is more money going to go to the cause because of this event? Yes or no people? Not that it isn’t rewarding to hold an event in a cold church basement instead of a hotel, because it just wouldn’t LOOK right to increase our cost to raise a dollar (and risk success, god forbid). As in, “I only fund charities with low overhead.” The real-world translation of this could read: “I only fund charities that don’t have the capacity to make a difference.” Do you think Twitter obsessed about overhead while they built an empire that resulted in a $25 billion IPO? I have seen charitable organizations with multi-million dollar budgets question the value of $35 professional development seminars to provide skills training to their fundraisers. Yikes! Arm yourself with tools to fight the B.S. by checking out Dan Pallotta’s Charity Defence Council and reading his enlightening book, Charity Case. P.S. Hair still falling out? Try a light conditioner and follow my blog by clicking on the button above. Very honest and refreshing view Siobhan! We need more donors on our side who think progressively.